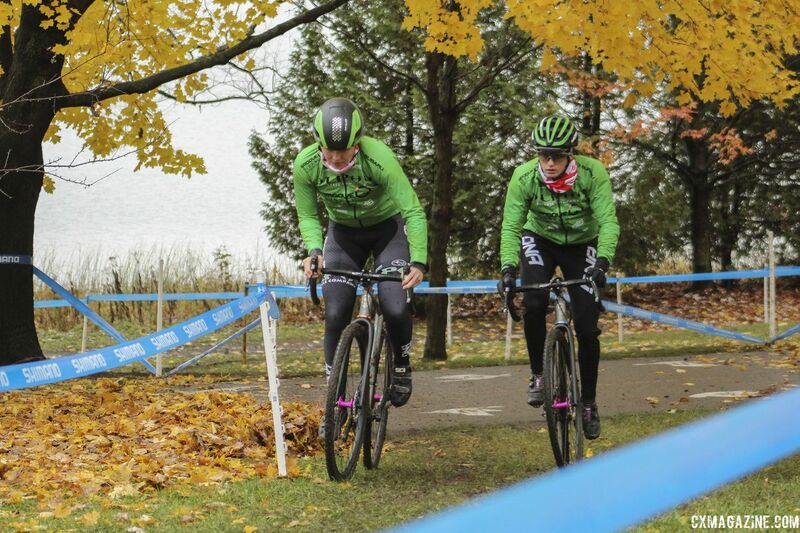 The 2018 Silver Goose CX and Pan-American Championships take place at Little Lake Park in Midland, Ontario this weekend. 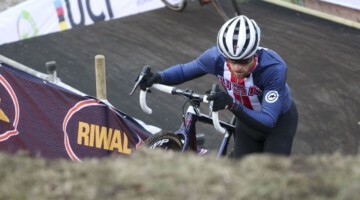 Both Saturday’s Masters races and Sunday’s UCI categories will be live streamed on our website. 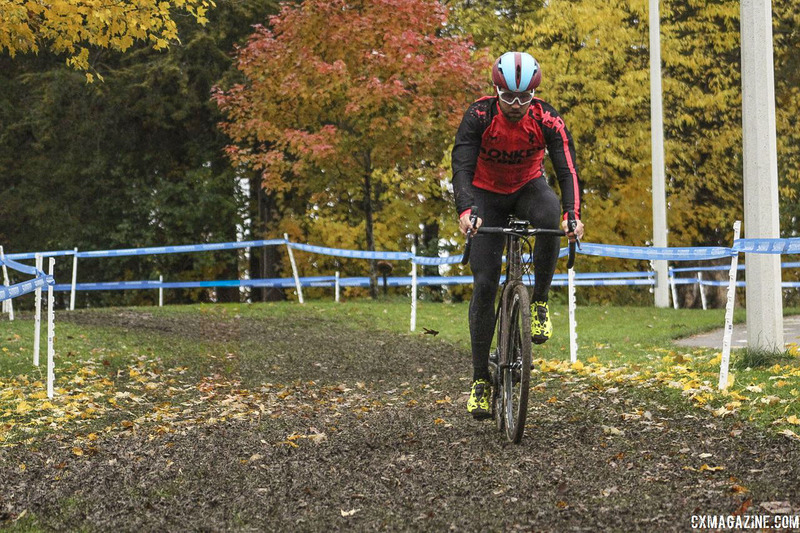 To help you follow along with the stream—and give me an excuse to hang out around cyclocross all afternoon—I headed to Little Lake Park during Friday’s course inspection to check out the track for this photo course preview. Midland is set on the shores of Georgian Bay, which is in the northeast part of Lake Huron. Little Lake Park is not actually on Lake Huron; it is on the north shore of a small lake called, surprise, Little Lake that is set just south of downtown Midland. Little Lake is a glacial lake, with the water sitting in a depression surrounded by higher terrain. 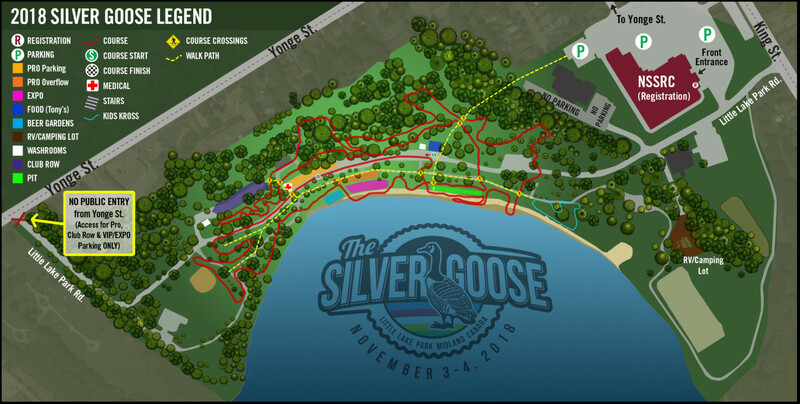 The high part of the course layout is in the north, and from there, the terrain slopes down to the sandy beach along Little Lake. 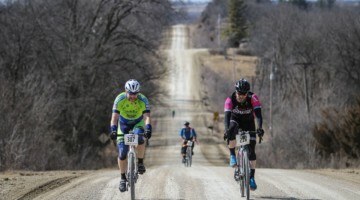 The track starts with a long stretch of pavement that goes slightly uphill as riders head west. 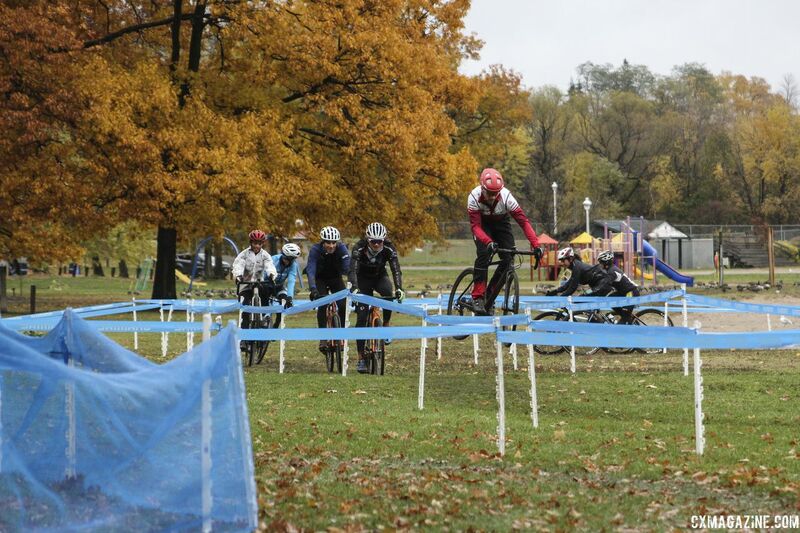 They then drop in to the first section of the course, which is located near the park’s baseball diamond. 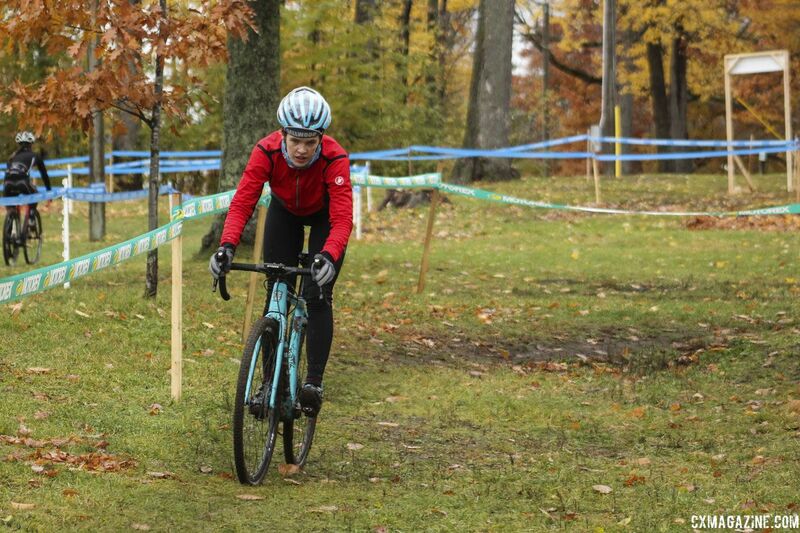 Midland has seen a healthy amount of rain in the last few days, including Friday, making the ground soggy when course inspection started and muddy once riders started ripping through the course. 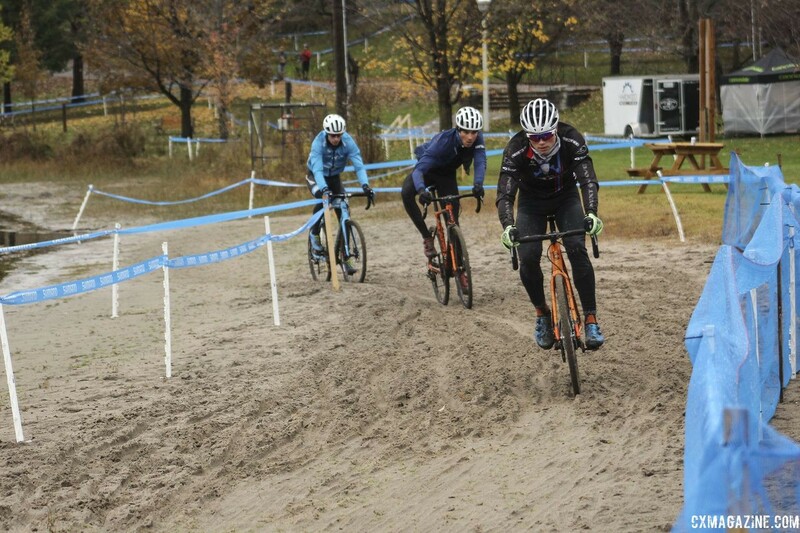 The mud starts almost immediately after the holeshot. With the rains, the ground is this area got very thick very fast on Friday afternoon. 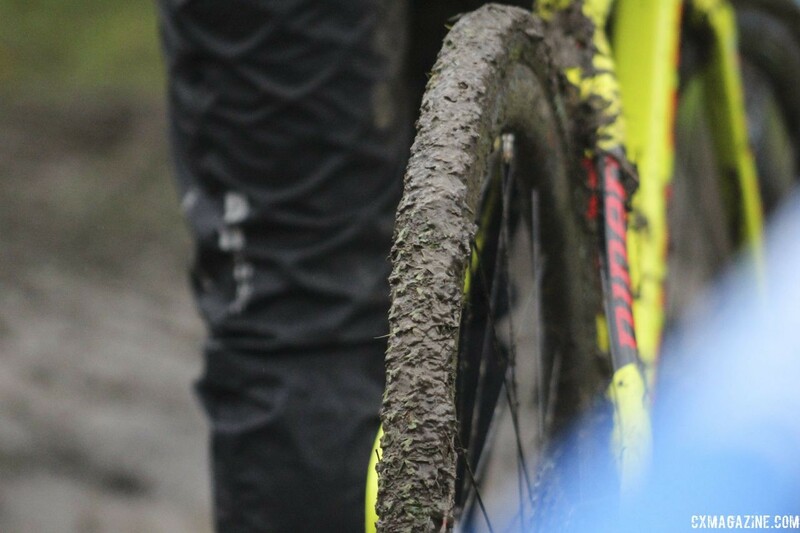 One rider described it as “peanut butter.” Tasty, if you’re into mud. 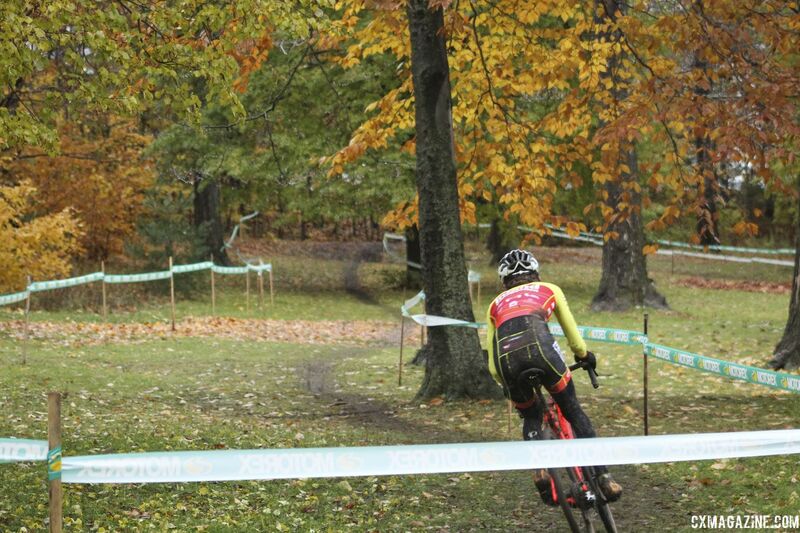 One section that got a lot of attention was a third corner that turned into a small mud pit. 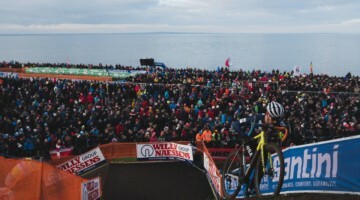 With rocks lurking underneath the surface on the outside line, forcing many pre-riders to try the inside, the section is likely to cause some congestion early in the races if it stays in its current state. 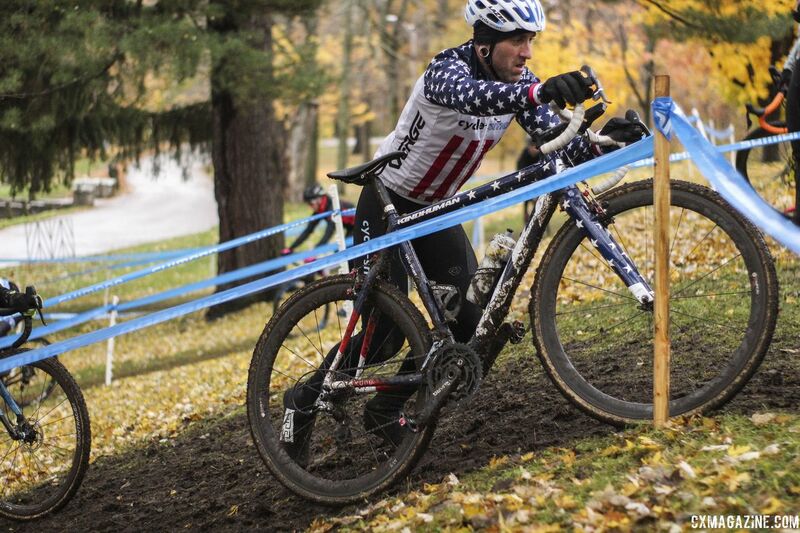 This rider, who’s spirit animal rhymes with memoranda, tried the inside line and had a run-in with the course stake. 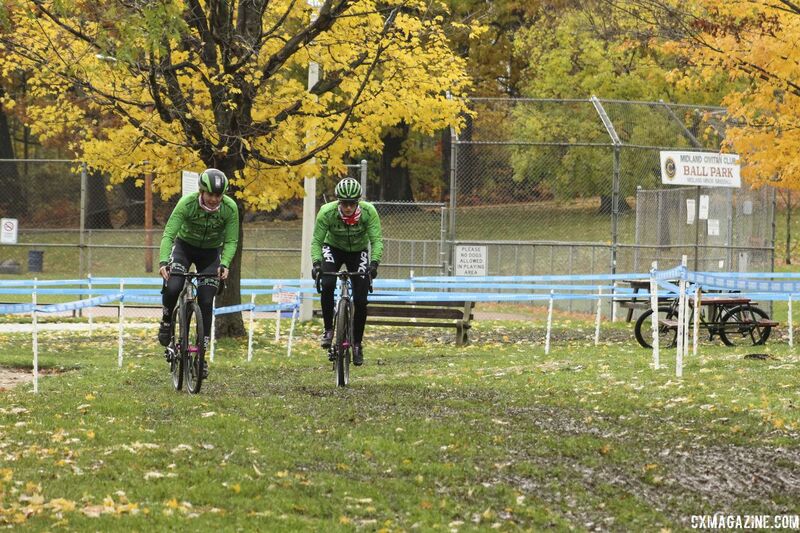 The Alpha Bicycle – Groove Subaru team spent some time scouting out the spot on Friday as well. The course then winds its way toward the beach for the first time. 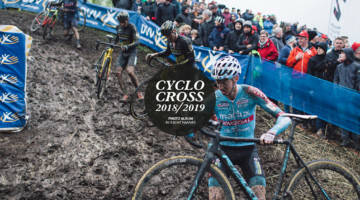 The course is relatively narrow in this part with a number of turns and punchy climbs, so getting off to a good start will likely be a must for those with podium aspirations. The first trip to the beach is a short one. 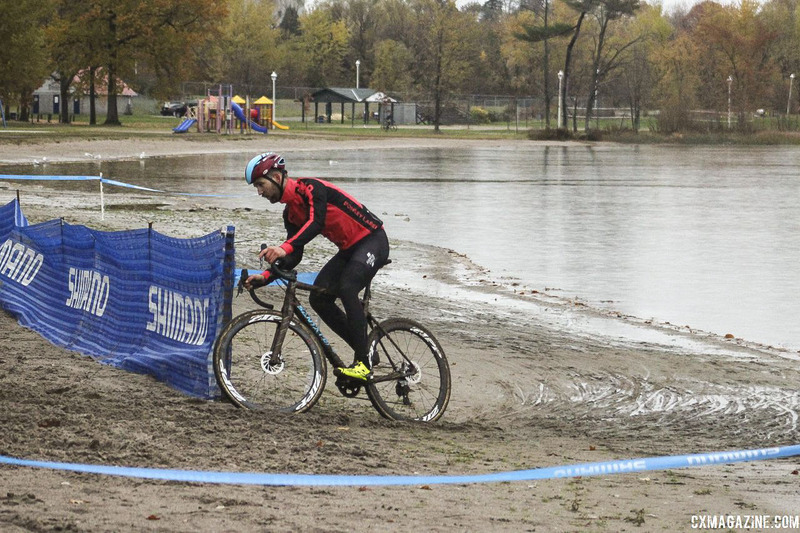 Thanks to the rain and proximity to the water, the sand was pretty packed down in the sand sections. 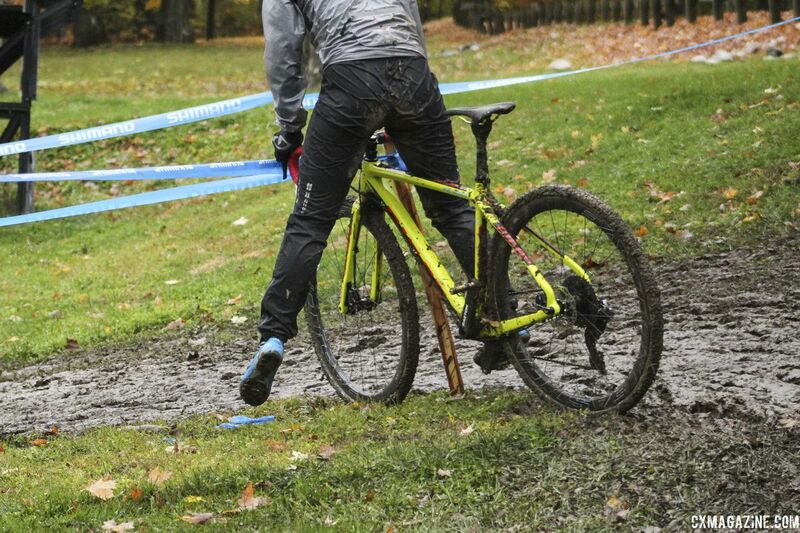 Ruts formed at the corners, meaning it will likely be one at a time through these sections. After leaving the sand for the first time, riders accelerate up and over the new flyover. And then they hit the first set of stairs. The decidedly smaller set. From the stairs, the course heads to the north, which means it goes up the hill. 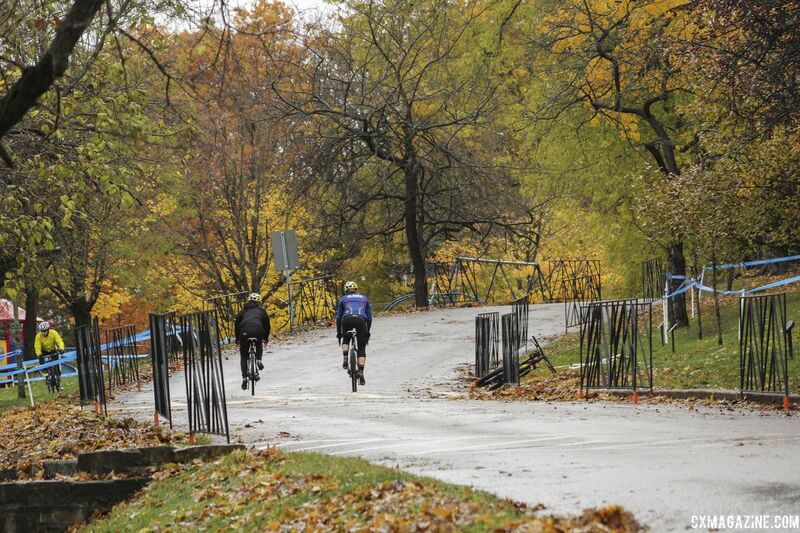 There are several climbs of varying length and steepness in this part of the course. 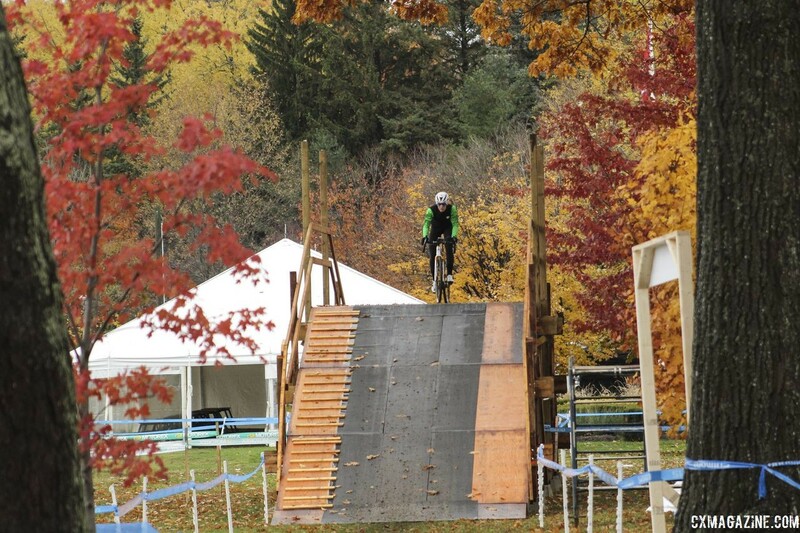 After climbing, the course makes its way west to what is probably the most technical part of the track. This section features a steep embankment up to the club team parking lot. 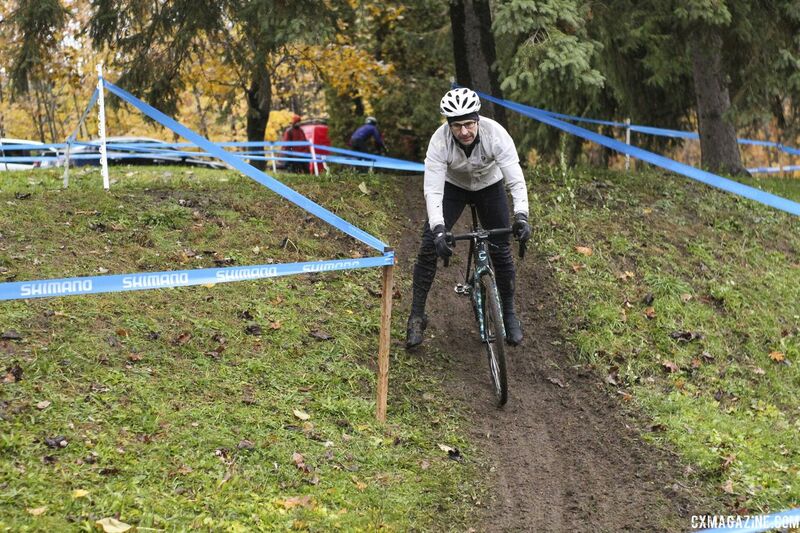 The course designers made full use of the terrain, with several ups and downs. 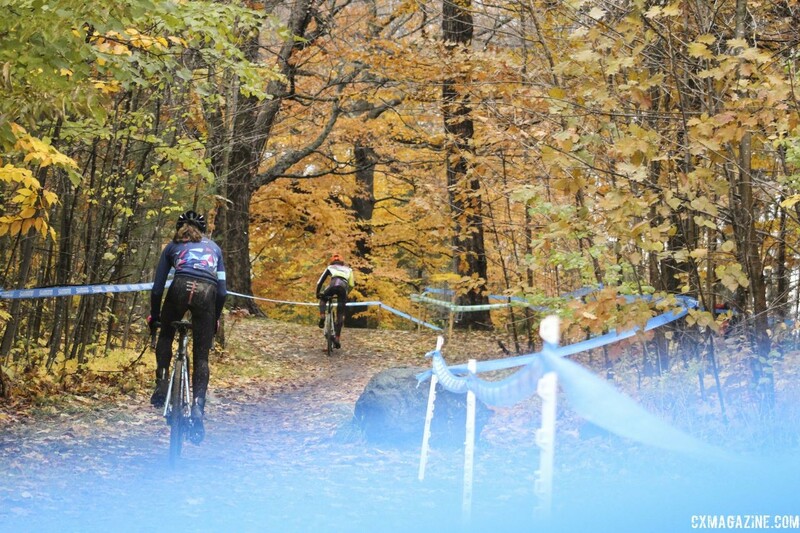 Riders wind their way back and forth through the trees. 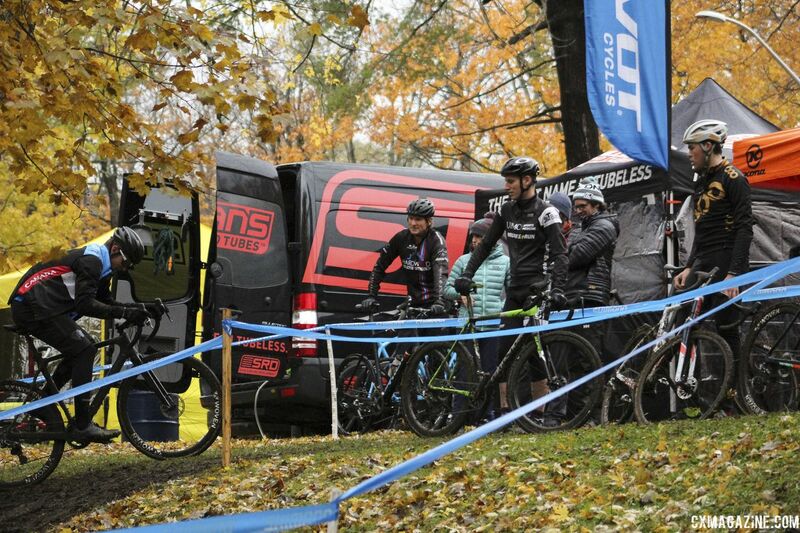 Most UCI courses seem to have that spot where riders congregate and try to figure out how to ride a tough, technical feature. 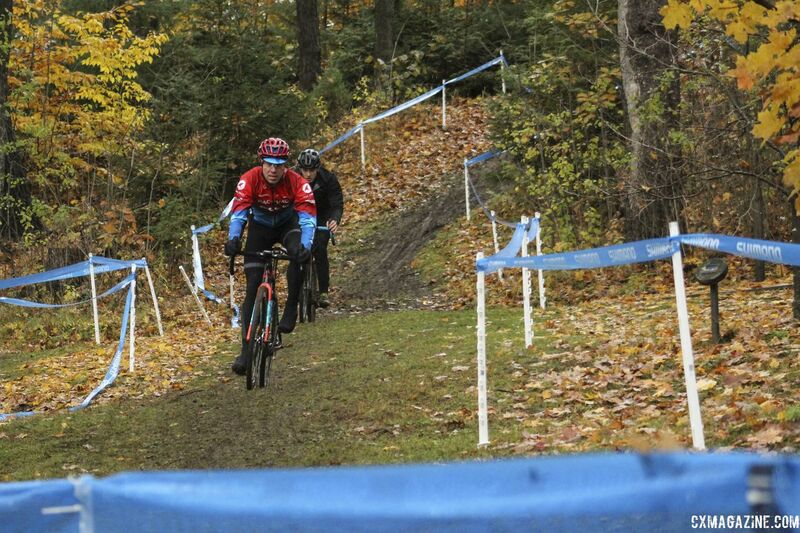 In Midland, it was the second steep up in this section. The incline turned muddy in a hurry, making the right line and a strong burst of power necessary to get up. 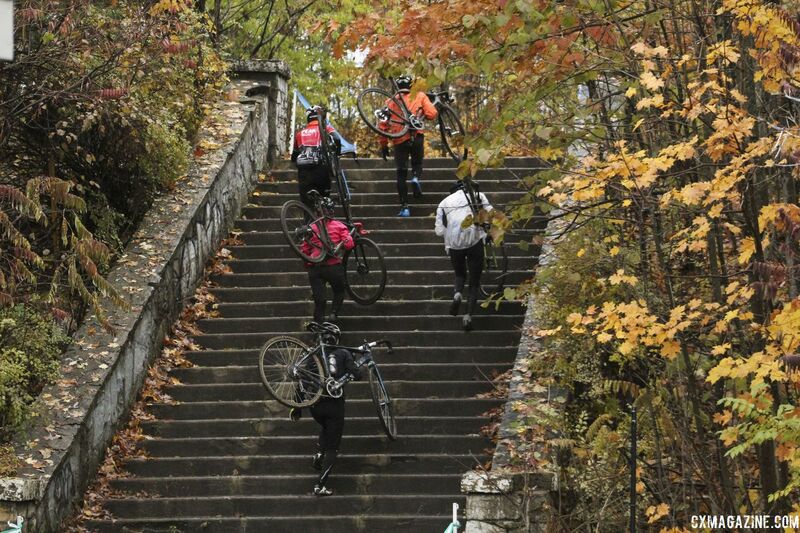 Many riders, pros and Masters alike, chose to run the steep incline. 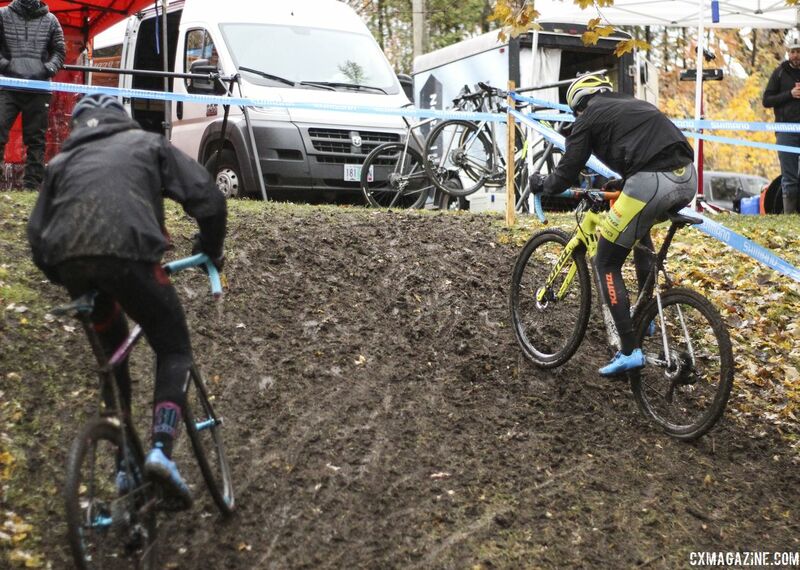 After clearing the technical section, riders head to the second stairs of the lap. The big stairs. 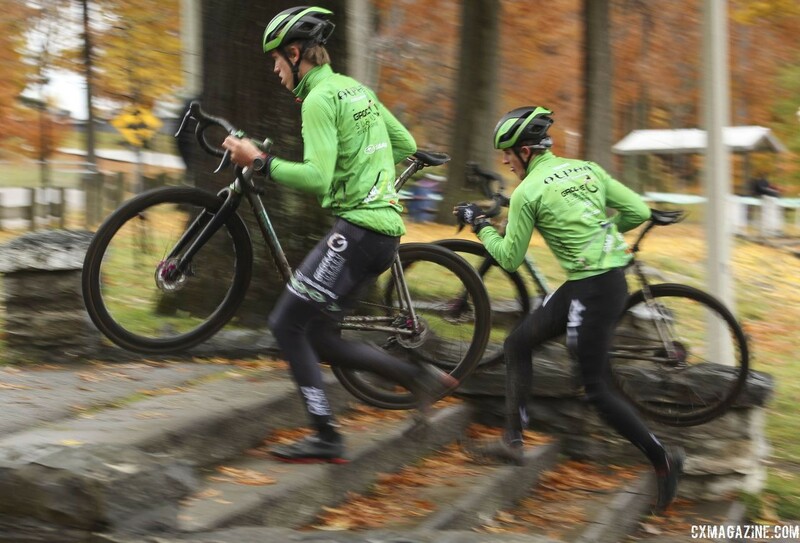 Riders will run up two separate sets of stairs, with no room to remount in between. As Sir Isaac Newton said, what runs up, must descend down (don’t quote me on that). 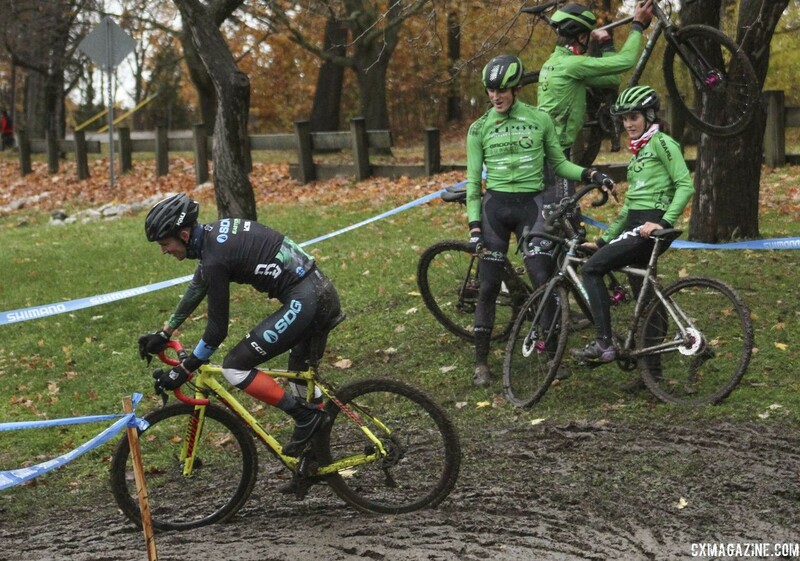 The next descent is a steep one into a muddy left hand turn. The base of the descent has snow fencing. We all know what that means. The course then heads back up, winds its way along the side of the hill and then hits another descent. One more small incline and it is back toward the second trip through the sand. The second trip the sand lasts a bit longer than the first. 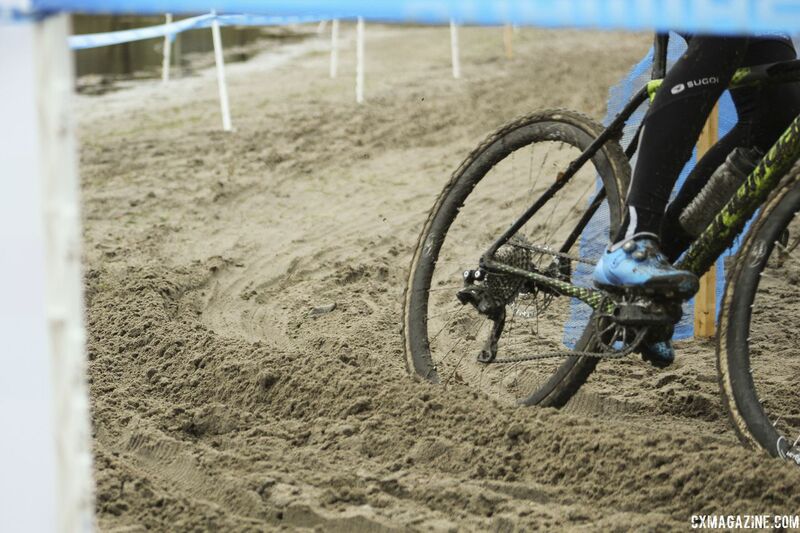 After a quick corner in the sand, riders enter the beach again for a longer drag. 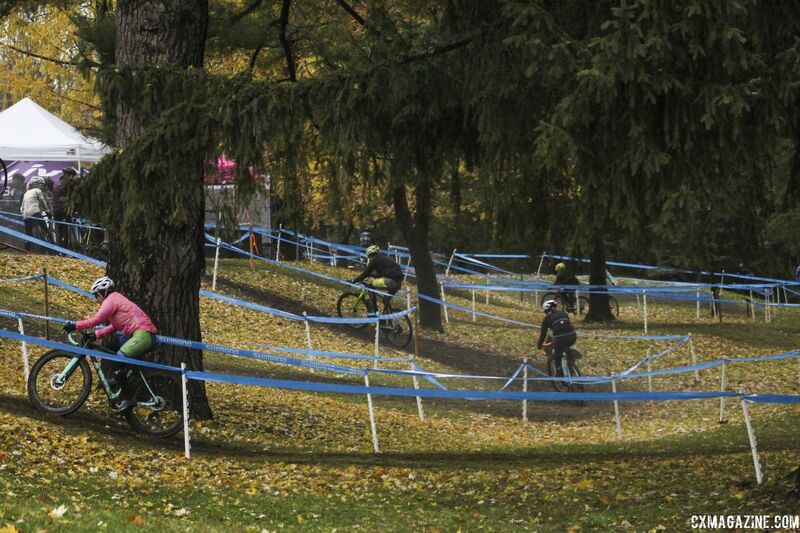 Like the first, this section also includes a nice rut riders will want to hit. 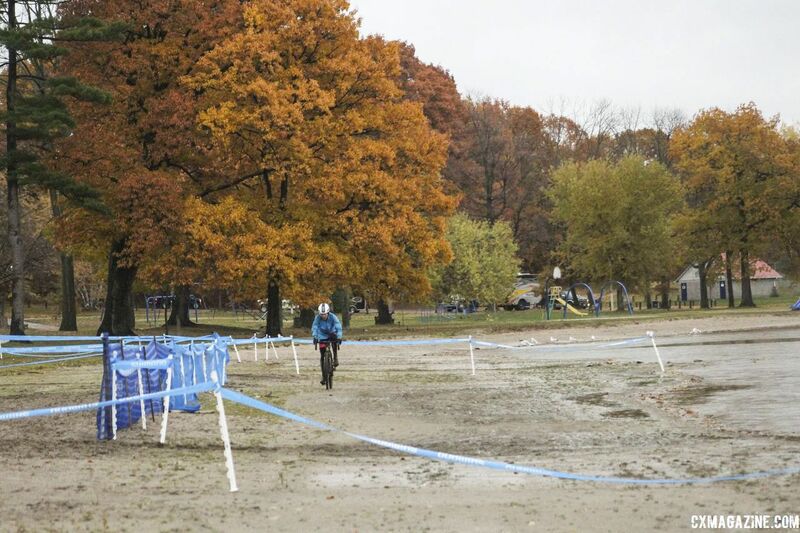 After the last section of sand, it’s past Pit 2, under the flyover and down the start/finish straight. Riders on Friday night were literally jumping with excitement about racing this weekend. 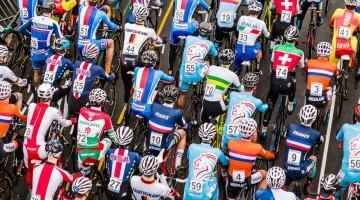 See UCI start lists, Masters Women start lists and Masters Men start lists for the weekend.